The Electrical Power Engineering (EPE) programme is a three-year honours degree jointly offered by SIT and Newcastle University (NU). 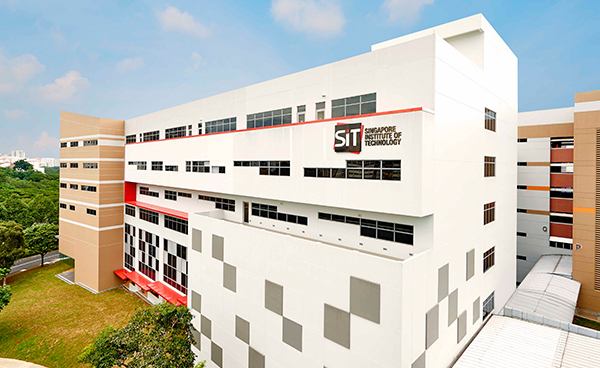 As the first locally-offered, dedicated electrical power engineering undergraduate programme, the curriculum is specially customised to meet industry demand in Singapore. It will play an important role in increasing the number of graduates to address the workforce demand in the power sector whilst fulfilling the country’s vision of becoming a Smart Nation. As a joint programme, it will leverage on the expertise and resources of both SIT and NU. Graduates from the SIT-NU EPE programme are needed in diverse sectors including electrical power generation, electrical power transmission and distribution, renewable energy, smart grid, land transportation, power and automation, oil and gas, and liquefied natural gas. Through a rigorous curriculum with strong industry focus, graduates will be theoretically-grounded and practice-oriented. This will equip them with the necessary technical competence, tools and personal skills that will enable them to continue to develop their understanding, expertise and professionalism as they progress through their career. Having a solid foundation will also facilitate lifelong learning as they embark on their engineering career. Students of the joint programme will undergo six months of Integrated Work Study Programme (IWSP) at a company relevant to their area of study. The IWSP is an integral part of applied learning as it provides an opportunity for students to integrate what they have learnt in the classroom to what is practiced in the real world, and vice-versa. The extended period of IWSP, with students performing real work, also provides an opportunity for companies to evaluate the suitability of students as potential employees. Besides producing practice-oriented graduates, IWSP will also be the platform through which students will be challenged during their work attachment stint to initiate innovative projects under the guidance of SIT’s IWSP academic supervisors and company-appointed work supervisors. Through such projects, students will be given the opportunity to develop engineering solutions for the projects they have identified. In this way, the IWSP will be a key platform that contributes to the inculcation of the SIT-DNA in every student. All students will have to complete a three-week attachment at the home campus of Newcastle University where they get to experience life as a student, living and studying in Newcastle, United Kingdom. The programme will include academic lectures, industry visits, library and career talks, research and literature review workshops to prepare students for their final year dissertation projects, as well as visits to local companies, museums and key cultural sites. The aim of this course is to establish the fundamentals of electromagnetism in preparation for other courses of the degree program. The major concepts covered include forces, power and energy using the case study of real life applications involving gravitational, electric and magnetic fields. The students will see the connection between conservative forces and potential energy; the motion of charges move through electric circuits and the close connection between electricity and magnetism. The Electrostatic Field: Forces and charges. Coulomb’s law and the definition of the electric field. Electric flux density and Gauss’s law. Effects of dielectric materials. Permittivity. Capacitance. Electric Current: Ohm’s law at a point. Conduction current. The Magnetic Field: magnetic flux density, magnetic flux intensity vector H and the MMF law. The Biot-Savart law. Permeability, inductance and reluctance. Time Changing Magnetic Fields: Faraday’s law. The Lorentz force leading to F=BiL. The aim of this module is to introduce the students to the basic concepts associated with analogue and digital electronics together with an understanding of the operation of a digital processor. This will enable the student, in subsequent years, to further his/her knowledge in this subject area by undertaking more advanced modules. This is a first year course which introduces students to some electrical and magnetic components of electrical circuits and devices which are the building blocks for electrical engineering. Such components include resistors, capacitors, inductors, op amps. For lab session, students will work in groups to design simple circuits and systems using these components. In the process, students learn about physical quantities of voltage and currents, circuit principles, power and energy, and operations of op amps. The knowledge gain in circuit theory will be needed for subsequent modules on Electronics, Signals and Comms and Electrical machines. There will also be design projects in the third year which required the fundamental knowledge in Circuit Theory. The aim of this module is for students to represent continuous and discrete signal in time and frequency domain with knowledge of solving the Fourier series of a periodic signals. The students will learn about the fundamental building block of analog/ digital communication system and be exposed to the different modulation and multiplexing techniques. Through the course, they will be able to apply such techniques for telecommunications (telephony services), broadcasting (TV, AM & FM radio) and point to point communications (transport, off-shore operations and etc). The students will have a better appreciation of the vital role of analogue and digital communications in the modern world and be able to implement error detection and correction in communication channels. Programming is one of the most basic and essential skills for any professional in the field of Engineering. This module is intended for students with no prior computing knowledge or experience beyond a basic familiarity with operation of a personal computer. The aim of this module is to introduce the fundamental aspects of programming in the programming language C. This module will also introduce some of the fundamental aspects of software engineering, primarily those of problem solving, abstraction and design, with particular emphasis on solving simple numerical problems from the engineering field. This module provides an Introduction to software development, problem solving, algorithmisation. Introduction to C, basic number types, variable number declarations, expressions, control structures, repetition and selection, functions, arrays, pointers, and files. Additional skills on running, testing and debugging programs. For the Writing Process; Effective writing styles; Plagiarism; Writing procedures and instructions; Describing change and development; Organization patterns in comparison and contrast; Organization patterns in cause and effect; Feasibility and recommendation reports; Presentation skills; presentation materials preparation. The aim of this module is to provide basic foundation in mathematics for engineering students and to equip them with core mathematical skills which will help them better understand engineering course modules. This module presents the mathematical foundations of Functions, which includes function transformation, logarithms and exponential functions, trigonometric and hyperbolic functions. The more substantial part of this module begins with Complex Numbers, Vectors and Matrix algebra. For Complex Numbers, subtopics covered include De Moivre’s theorem and Euler’s formula. For Vectors and Matrix Algebra, subtopics include dot & cross product, vector equation of line and plane, determinants, inverse matrix, Gaussian elimination method, eigenvalues and eigenvectors. The last topic covered in this module is Limits and Continuity. Subtopics include limits at infinity and L’ Hopital’s rule. The aim of this module is to provide basic foundation in mathematics for engineering students and to equip them with core mathematical skills which will help them better understand engineering course modules. These are then developed to enable a large range of engineering systems to be modelled using differential equations and linear algebra. This module presents the mathematical foundations of Differentiation and Integration. Partial differentiation. Techniques of integration and numerical integration. Applications. Basic types of first and second order ordinary differential equations. Analytical methods of solution. The module presents the fundamental knowledge of control engineering, modelling. It gives an understanding of 1st and 2nd order behaviour. It gives knowledge of system compensation via PID control schemes. It presents the knowledge of system stability using time and frequency domain characteristics. Topics include: Mathematical models of physical systems; system response; compensation; stability, use of CAD packages. The outline syllabus for this module is as follows: Matlab introduction; study of 1st and 2nd order dynamics in time domain, Transfer function; s-plane analysis; block diagrams; time domain specifications and high order systems, Closed loop systems; steady state error and controller design, Root locus and design based on root locus and Frequency response. The module introduces students to topics in electrical engineering including polyphase circuits; polyphase synchronous machines; three-phase distribution systems; polyphase induction machines; electric drives. It is specially designed for the students to acquire the important knowledge about electrical systems. Students will attend lectures, do experiments and homework in their study. The aim of this module is to enable students to understand the essential principles of digital logic systems as used for control, communications and information processing, to enable the student to design such systems, and to study the operation and performance of computer arithmetic circuits, synchronous and asynchronous sequential logic circuits. Lectures provide core material and guidance for further reading, problem solving practice is provided through tutorials. Work is further re-enforced through laboratory sessions. The examination provides the opportunity for the student to demonstrate their understanding of the course material. The problem solving aspects of the assessment enable students to demonstrate that they are able to apply this understanding and their analysis and synthesis skills to novel situations. Laboratories provide the opportunity to assess practical skills and the application of theoretical knowledge. The aims of this module are to describe the operation of commercially important semiconductor devices (diodes, BJT, MOSFET) and how these are described by the semiconductor physics, to present the causes of non-constant frequency response in electronic amplifiers, to give an understanding of the non-idealities of real operational amplifiers, to give an understanding of the application and effect of feedback in electronic circuits, and to present some forms of power amplifier in common use. Lectures provide core material and guidance for further reading, problem solving practice is provided through tutorials. Work is further re-enforced through laboratory sessions. The examination provides the opportunity for the student to demonstrate their understanding of the lecture course material. The lab report and case study enables students to research a topic not covered in the lectures and so put their understanding into practice. Laboratory sessions offer the opportunity for reinforcement of key concepts through the use of hands on experiments, designed to complement the material presented as part of the formal lectures. The aim of this module is to provide a structured presentation of electromagnetic theory including a review of basic principles associated with stationary and moving charges. A prime aim is to enhance the students' knowledge of electromagnetic fields and wave behaviour and how this can be used to describe quasistatic fields, transmission lines and plane waves. Displacement current. Maxwell’s Equations in integral and differential form. Gradient, divergence and curl and example fields. Poisson’s and Laplace’s equations. Transmission Lines: Concepts of distributed circuits, derivation of transmission line parameters, attenuation and phase coefficients, characteristic impedance, SWR definition, lossless and lossy lines. Examples in engineering practice, measurement and matching techniques. Design implications of skin effect, corona discharge, shielding, review of EMC concepts and legislative requirements. Introduction to electromagnetic waves. Teaching and Learning activities include lectures, tutorials, labs, assessment preparation and submission and guided independent study. This module is assessed through a 30% course work - a lab report (15%), mid-semester test (15%) and 70% final examination. Lectures provide the core material and guidance for further reading, problem solving and practice are integrated into the lecture structure. The practical lab report provides students with an opportunity to demonstrate an understanding of practical lab measurements on electromagnetic devices, fields and their interpretation. The aim of this module is to improve and extend programming techniques at both high and low level programming. It also aim to introduce the concepts underlying a microprocessor system and to extend this knowledge to the design, testing and building of such a system. This module covers both high level and low level C programming, and Assembly language programming. It also introduces the motherboard architecture: CPU, bus, memory, DMA, I/O devices, interrupts, and cache memory. It then goes in detail on the microprocessor architecture and basic system organization: the bus, address mapping, software timing, I/O controllers (polling and interrupts), analogue to digital conversion, memory hierarchy, and UART. This will also be low-level programming of I/O. To develop the students’ planning, design, construction and communication skills through teamwork in a design based project. To provide students with the understanding and practice of the planning and management of technical projects along with an appreciation of business organisation and planning. To assist students with project activities within their undergraduate studies and to enable them to fulfil their roles as future engineering managers. Lectures provide basic material and guidance. Most of the work is self-directed by the students, with guidance from academic supervisors. Project work forms the major element. The module is entirely in-course assessed. In order to prepare students to secure their first IWSP position, the Career Professional Development aspect of the module aims to provide students with the experience of going through the entire process of job search, from submitting their job application letter and resume to attending a mock job interview session. The knowledge and skills, acquired by students through this module and the IWSP, would form a valuable source for students to draw from as they look for their first full-time job upon graduation and as they plan their career. The aim of this module is to provide knowledge and understanding of the fundamentals of linear systems theory and its application to the analysis of signals and system behaviour, to understand the theoretical development of transforms such as Laplace Transform, Fourier Series, Fourier Transform and Z-Transform, their properties and applications to solving circuit analysis, to enhance understanding of communications concepts and systems, and to enable the student to appreciate the vital role of analogue and digital communications in the modern world. This is an introductory module for engineers that aims to equip students with a basic knowledge of finance, accounting and law so that they understand the functions of their roles in business. Students will learn about Business Structures, Financial Accounting and Company Reporting, Management Accounting, Health and Safety, Environmental and Intellectual Property Law, Dispute resolution, Contract Law, Negligence and liability for defective products, and Legal risk management. The aim of this module is to provide students with a systematic understanding of the operation of a modern electricity network operating under balanced steady-state and fault conditions. The course is designed to be of value to students who are considering a career in the electricity supply industry or any large industrial user with their own networks. Knowledge and understanding of electricity networks and issues associated with their operation will be taught via formal lectures and self-guided study material. This will be supported by reflective learning using worked examples to develop awareness and evaluative skills. Subject specific, cognitive and communication skills will also be developed during the formal lectures and self-guided material. Time management and IT skills will largely be developed through the self-guided material. The unseen written examination will provide students with the opportunity to demonstrate their knowledge and understanding of the key aspects of the operation of a modern electricity supply system. Subject specific, critical and evaluative skills will also be assessed through the written examination. The other key skills will not be assessed, but students will need to utilise these in order to access the self-guided material and prepare for the exam. The aim of this module is to introduce students to the fundamentals of available sources of renewable energy and give details of its conversion into electricity. Students will gain an overview of the engineering challenges of renewable energy production and a wider understanding of renewable energy in a societal context. The leading technologies in the field will be examined in detail, with a focus on electrical machine requirements. This module also aims to provide broadly-based core knowledge and skills covering thermodynamics fluid mechanics and turbo machines. The aim of this module is to familiarize students with the various analysis techniques and controller design approaches in state space. These include: State space system description, transformation of systems into state space form, solution of the state equation, the state transition matrix, pole placement controller design, LQR controller design and estimators. The aim of this module is to provide a complete steady-state analysis of electrical machines and generators and an extension to their dynamic performance. Module contents include generalized theory of electrical machines (Park equations) and its application to DC, synchronous machines, links to steady state per phase model. Development of circuit models from dc machine and synchronous machine routs. Impedance matrix; instantaneous and phasor variables; real-coil and pseudo stationary coil machines; expressions for torque and power, transformation of variables with power invariance, examples; general two-axis machine, salient pole synchronous machine DQ axis reactance model. Extension of two axis models to induction motors and links to the steady state per phase model. Transient behaviour of DC and Synchronous machines, time constants, distinction between electromechanical and electrical transients, linearization concepts, numerical methods. Understanding of single phase induction machines, derivation of equivalent circuit showing forward and backward wave effects, practical methods of improving starting characteristics, understanding the principle of reluctance machines and their operating characteristics. Teaching and Learning activities include lectures, tutorials, assessment preparation and submission and guided independent study. This module is assessed through 15% course work - a research based case study and 85% final examination. Lectures provide the core material and guidance for further reading, problem solving and practice are integrated into the lecture structure. The case study will allow the students to gain a deeper understanding of the characteristics and principles of the electrical machines being studied, and an ability to link the mathematical models developed to the electrical machine operation. The aims of this module are to enhance knowledge and understanding of power electronic converters and their application in power electronic systems, to enhance knowledge and understanding of power electronic devices and their application in power electronic converters, and to provide students with the skills and techniques necessary to analyse and synthesise power electronic circuits utilising modern power electronic devices. Lectures provide core material and guidance for further reading, problem solving and practice are integrated into the lecture structure. The examination allows students to demonstrate their problem solving skills together with their knowledge and understanding of the subject outlined in the lectures. The group oral presentation enables students to research a topic on power electronics in published journal papers, to synthesise what are developed in a technical paper, and then to do simulation to verify power electronic topologies proposed in the paper. The aim of this module is to provide students with an understanding of high voltage engineering, phenomena and technology and to introduce basic high voltage generation and measurement techniques. It is specially designed for the students to acquire the important knowledge about high voltage electrical systems, equipment and insulation tests. Students will attend lectures, do a class project and homework in their study. The aim of this module is to enhance the ability of the student to apply his/her engineering expertise to investigate a complex problem. The knowledge outcomes from this project will be multi-faceted, involving not only conceptual and procedural knowledge associated with the project in general, but also strategic knowledge involving planning and organisational strategies at personal level. From the various presentations plus report the ability of the student will be assessed regarding subject-specific, core and cognitive skills established from technical assessment of the initial study, implementation issues and evaluation of end project plus dissertation.